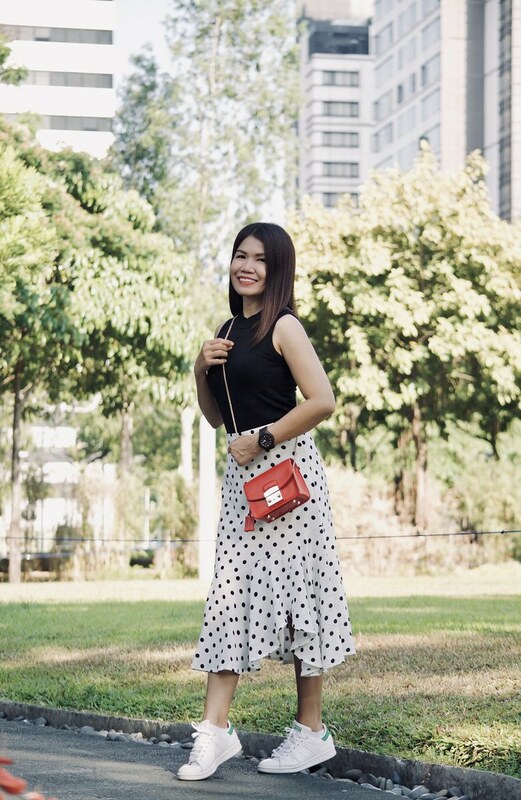 Last week, right after my appointment in Ortigas Center, I headed straight to Robinsons Galleria and went to Beauty Bar to replenish my emptied favorite powder. But sadly, my desired shade wasn't on stock. I decided to go to Podium Mall and check with the Beauty Bar there. Guess what I saw the moment I stepped into the store. My heart skipped a bit and was mouth-opened shortly; I just saw Cure. 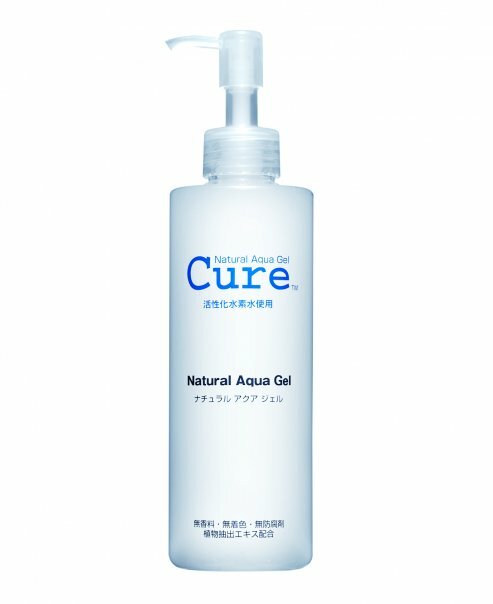 Cure Natural Aqua Gel were beautifully displayed and aligned in the rack with its oh-so-tidy 250 ml transparent pump bottle. I wonder if the sales assistant standing a meter away from me got annoyed. So, what is Cure? I scanned the leaflet I got and let the images speak for much detailed information. Okay. That explains all, right? The spots, pigmentation, pimples, blackheads, dry skin, oily skin, signs of wrinkles and dull skin are caused by dead skin. Make-up remover and facial cleansers cannot remove your dead skin; only exfoliation can. 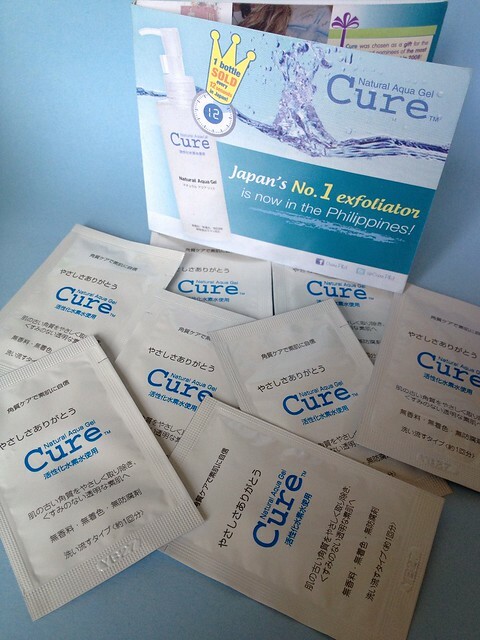 Who would have thought that I can get Cure samples not only 2 sachets but 8 sachets? If you are following me on Instagram & Twitter, you should have seen my post and tweet that I got Cure samples. Actually, I got 4 sachets from Podium Mall and got another 4 sachets from Mall of Asia when we shopped last Saturday during the Big Summer Sale. I feel so blessed. Though I didn't make it at SampleRoom, I think I was destined to get Cure in convenience, faster, and very easy way. Agree? Are you aware that our skin constantly regenerates non-stop but sometimes dead skin doesn't slough off, so we need to do our part to exfoliate to reveal newer cells and keep dead skin from clogging our pores? So, we need to exfoliate 2 times a week for a smoother and healthier skin. Okay, let's proceed to the review, shall we? ... 90% of the ingredient is water (hydrogen water). ... Very gentle to the skin. ... Coloring free. The gel is transparent. ... You can see instant results in 30 seconds to 1 minute! ... Leaves you smoother and glowing skin right after using. ... It brightens the skin. ... Honestly, aside from the gel slides off fast because of its runny consistency, I can't think of any that I dislike. 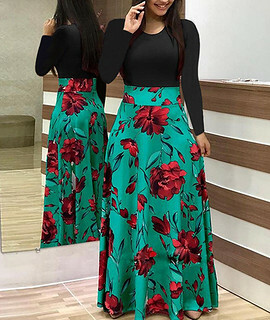 This product is just perfect. Now, you better get ready for some nasty pictures ahead or you can close this window anytime. Excuse my face. Yes, I have large pores, not-so-smooth skin. 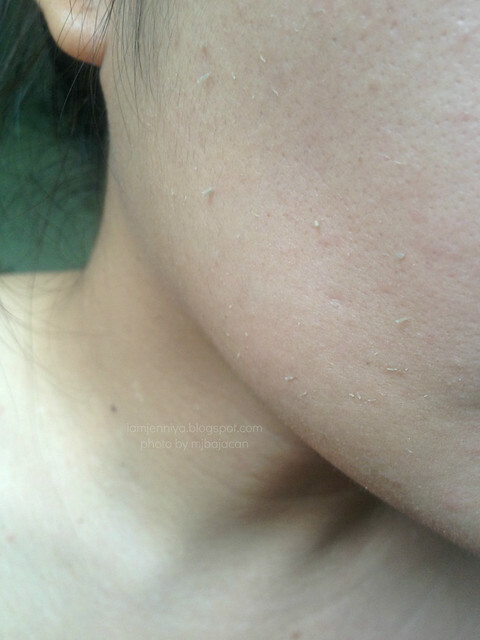 The photo shown above is the first time to use Cure and first exfoliation. Notice the dead skin or "libag"? It was gray-ish color. I really can't believe seeing my dead skin sloughing off my face were that thick and dark. 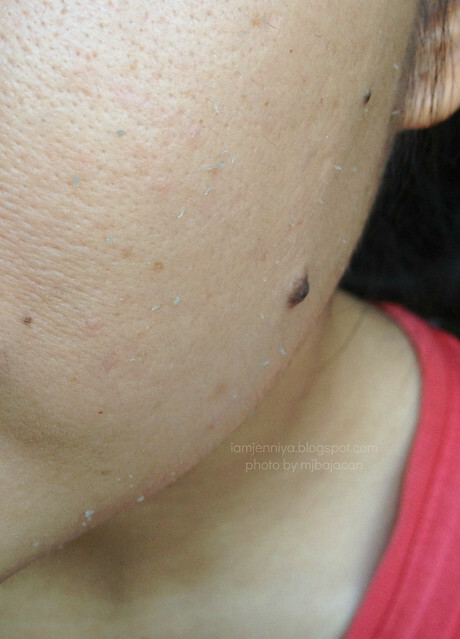 The photo shown above is the second time to use Cure and second exfoliation. Because of the excitement this wonder product brought to me, I washed my face immediately right after the first exfoliation and re-applied Cure again and exfoliated once more. This time, it wasn't gray color anymore but white particles were balling off my face. Hmm... But can you notice my skin became smoother compared to the first photo? After 3 days, I used Cure again. 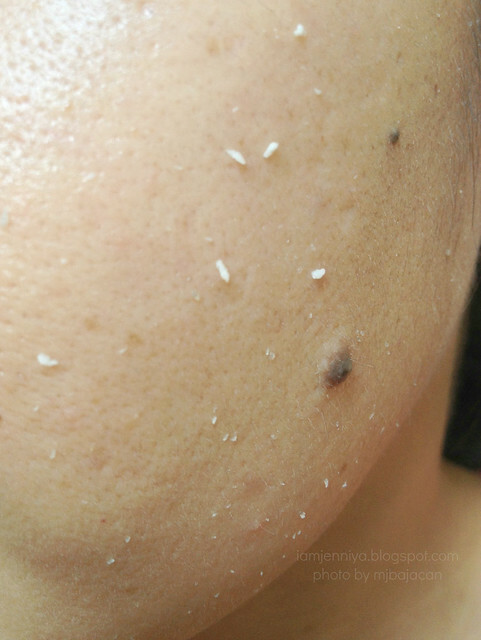 The photo shown above is the third time application and third exfoliation. I noticed that the dead skin coming off my face was a bit grayish again but not as the same color as the first time and I noticed that the exfoliation was lessened. 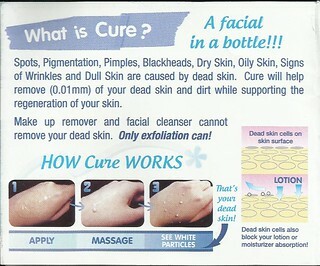 This explains that the surface dead skin really diminished since my first used of Cure. 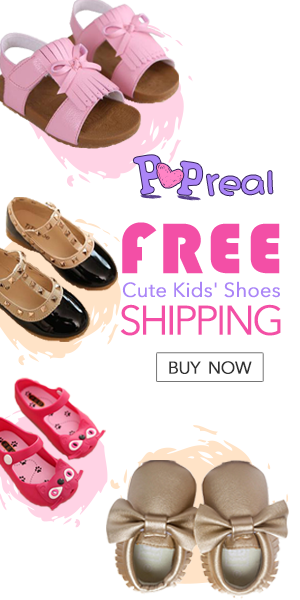 What Cure claims, you will definitely get! I haven't met a product like this ever. 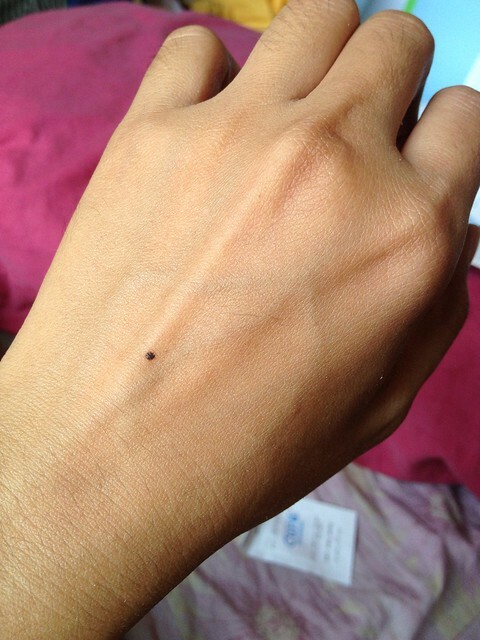 I tell you, this product give visible results in 30 seconds to 1 minute. I was murmuring while massaging the product on my face: "Is this really true? Is this happening?" I can see my dead skin cells coming off my face. I am so amazed. A facial in a bottle indeed. 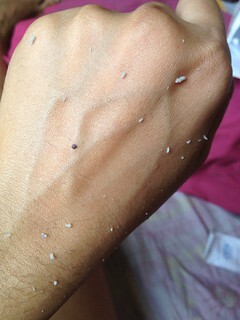 I never thought that exfoliation could be this fun! Not convinced? Watch my own video now in HD. 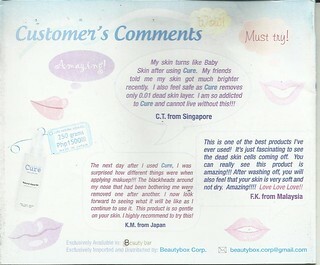 My first time of using Cure definitely slough off the dead skin, especially on my face. 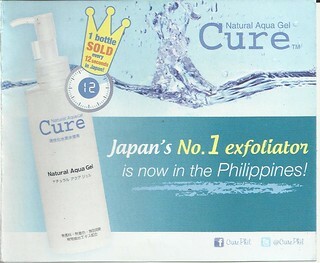 I can agree that while Cure removes (0.01 mm) of dead skin and dirt, it also supports regeneration of your skin. 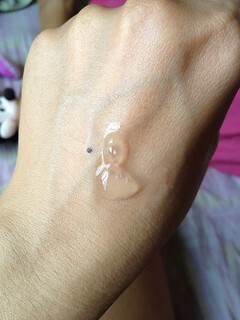 My skin became smoother, softer and moisturized than before. Even the pores on my cheeks were noticeably minimized and flattened. The recommendation is to use this twice a week, but I have oily skin so I used this 3 times already for my first week. I don't see any harm though but I see a brighter skin tone than before. So, that's another effect of exfoliation with Cure; it brightens my skin. Wohooo! Have I mentioned that my make-up application has been easier after my third exfoliation? I get so inspired to do my make-up because of the clean and smooth canvass to start with. 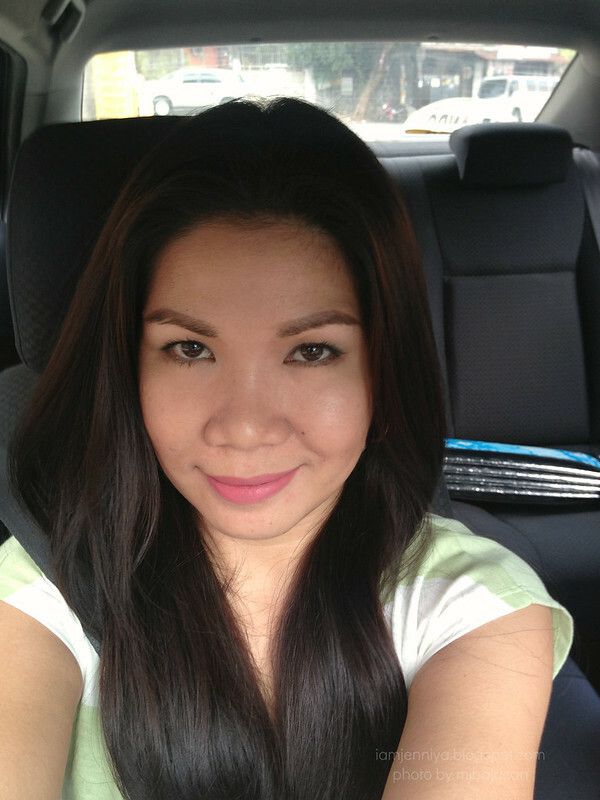 Here's my FOTD last Sunday when I had a lunch date with my hubby and my in-laws. I am proud to say that I didn't put any foundation nor BB Creams on my face in this photo. I just applied my favorite oil controlling powder which I will post a review soon. Of course, only beautiful things are to be shared with my lovely readers. I love Cure to bits because it doesn't have beads meant that I can avoid frequent scrubbing. Remember that too much scrubbing is unhealthy to skin. I stopped using exfoliating scrubs years ago already because the beads were too harsh and I ended getting break-outs. A pea sized amount of Cure can go and exfoliate my cheek from the jaw up to my cheekbone. Mind that I exfoliated 2-3 times in the face at a time per sachet. Not mentioning my extra usage on my knees and hand. 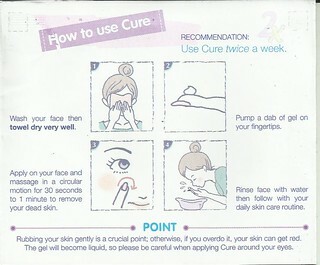 Yup, you can use Cure on your neck, elbows, knees and even on your cuticles! I will also try it on my underarm next time. *Wink. Why not eh? 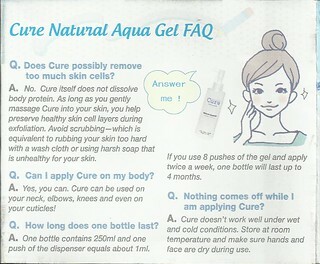 After using Cure, my hand feel smoother, softer and not dry. This is the best product yet that I've met this 2013. I have to save money to buy the full size so I can continuously have smoother skin. The 250 ml full size costs Php1,500. I know the price is a bit steep but I know I'll get my money's worth. 5 out of 5. Perfect. 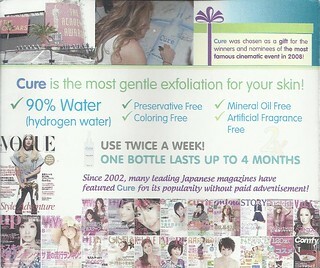 Cure is available for sale in all Beauty Bar. Go to the nearest Beauty Bar and get your Cure samples now. See for yourself how this amazing product works. For more information about Cure, like them on Facebook and follow them on Twitter. Disclaimer: I am not in any way affiliated with the brand. The views and opinions expressed on this post are purely mine. All are written based on my own experience using the product. If the product works with me, it may not work with you, so use it with your own discretion. Nice review, the product looks almost perfect and worth trying! results. Thank you for giving such powerful, healthy, revealing and even unique tips about that topic to Lizeth.